XVIII, 399 p., 17,0 x 24,9 cm. Managing editor Maria Cristina Dalfino. 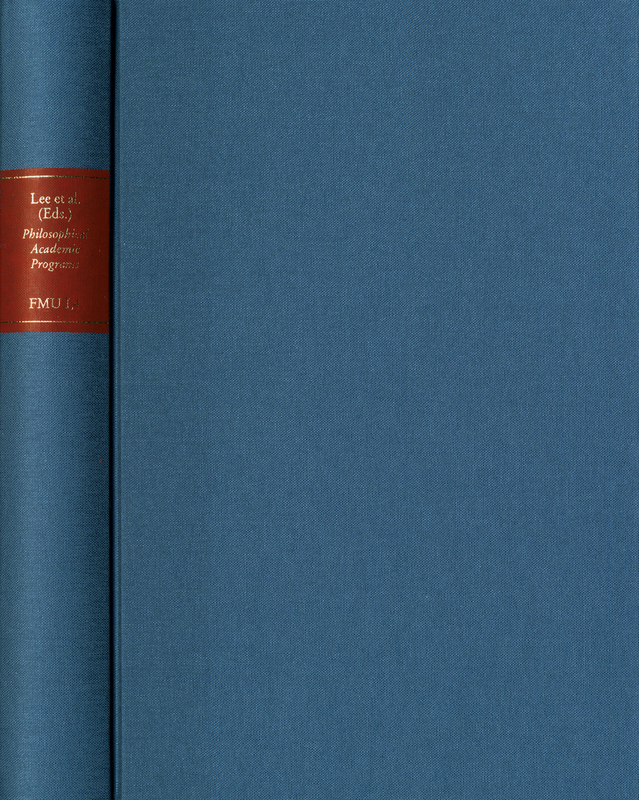 With contributions by Friedrich Eduard Beneke, Joachim Georg Darjes, Johann Gottlieb Fichte, Johann Friedrich Herbart, Immanuel Kant, Georg Friedrich Meier, Riccardo Pozzo, Johann Nicolaus Tetens, Christian Thomasius and Christian Wolff. Up to now, German manifestos of the 18th century have not been subjected to scholarly analysis and interpretation due to the difficulty of defining this genre. The contents of these invitations, announcing an event, were as a rule quite provocative and hyperbolic, since the professors put themselves on the students’ level of argumentation in order to attract them to their lectures. Above all however the professors felt free to express themselves on subjects which they would have preferred not to mention in a completely finalized and well-developed treatise. This volume presents eighteen philosophical manifestos which were handed out between 1687 and 1822.